The company was founded in Carsoli (AQ) in 2006. The idea, from which has started the production, came from a personal need of Luciano Sciabordi, its founder. The search for a definitive and satisfactory solution for a family connected problem, linked to the malfunction of a household fireplace, was the driving force that led him to develop a system that had an immediate success. From the production and application on its own, to the request of friends and acquaintances ...... the rumors led to the hint that there is a potential market. It was the genesis of the BLINDOCOM patent, the bidirectional chimney, which exploits the natural Venturi effect, even doubling it. 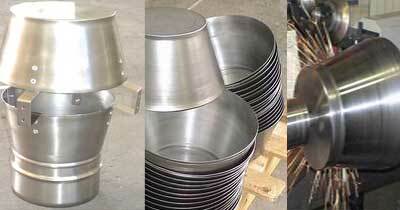 In these few years , the company has developed new products to clean chimneys , flues , air distribution and other ducts . All our products are designed to be built with the most advanced technologies available on the market, such as laser cutting - sheet metal lathe, CNC punching, castings in concrete formwork, etc. These methods, combined with the use of high quality raw materials and in conformity with regulatory requirements, allow to obtain a final product with high safety, interchangeability, and long life characteristics.